If you are in search of a hobby which can unite you with people from all around the world while teaching you more about communication technology, you may want to take up amateur radio, better known as “ham radio.” Ham radio is popular among enthusiasts of all ages, and has resulted in a unique global community. While ham radio is fun and educational, it can also be vitally important in an emergency. You can set up a ham radio at home, at work, or out in the field. Wherever you go, you can stay in touch with the world. If you are thinking about getting started with ham radio but do not know what to purchase, you can compare some popular models in the table below. If you still have questions about ham radio and want to learn more about different features before you shop, read on to explore ham radio in-depth in our full guide. Ham radio is another name for amateur radio. With ham radio, you can call other users on designated “amateur band” frequencies. By definition, “amateur” radio use is always private and non-commercial. Ham radio may involve voice communication, Morse code, packet, radio teletype, PSK, or image transmission. In order to get started, you do need to take a test and get a license from the FCC. There really is no “typical” ham radio operator, which is one of the great things about it. Hams can be anyone living anywhere. One day you might find yourself talking to a 10-year-old boy in the next town over. The next, you could be talking to an 89-year-old woman from halfway across the world. Hams are found in all countries, at all income level, and at all ages. That makes ham radio a great hobby to connect yourself to people from all walks of life. Before you can shop for a ham radio, you must first decide on what type you want. Handheld models are designed to be carried around. They can usually be clipped to your belt it needed. Mobile ham radios are designed to be installed in your vehicle. Base ham radios, also called “fixed” units, are designed for permanent installation in a structure (like your home or workplace). See question #1 after the section below. You may be surprised to learn that you need a license from the FCC before you can legally operate a ham radio. After all, it is amateur radio. But it is necessary to realize that the FCC considers ham radio operators important from a practical standpoint. Because ham radio enthusiasts may come to the aid of others during emergencies, the FCC feels they should be licensed and prepared for such situations. That way they can help instead of cluttering up communication channels. If you are aiming to get an entry-level license, this is the one you need. To qualify, you just need to pass a test with 35 questions. If you pass, you will be able to use the bands above 30 megahertz. This should be sufficient to connect with users in your local area, and most likely throughout North America. You can send some international communications, but they are highly restricted at this level. If you are ready to get an international license, apply for the General License. This will allow you to send and receive transmissions around the world. The test involves just 35 questions. Note that the Technician License exam is a prerequisite, so you have to pass that one before taking the General License exam. This is a more rigorous exam involving 50 questions. If you pass it, you will be able to use all modes and bands. This is the top level of ham radio licensing. Obtaining the General License is required before you can take the Amateur Extra License test. Where will you use your radio, and what will you use it for? As mentioned previously, there are three different types of ham radio: handheld, mobile, and base. In order to pick the right type, you will need to think both about where you will install the radio and how you plan to use it. While handheld models have the benefit of portability, base units are more powerful. So you may decide to sacrifice portability for performance, or vice versa. Keep in mind that some radios can actually be used as base or mobile units. What bands do you need? For short-range emergency communication: Look for a VHF/UHF radio. A portable radio with around 3-5 watts of power is fine for this use. Home HF communication: For this of course you need an HF transceiver. If you want, you can look for one which also includes UHF and VHF coverage. Local or regional communication: You should get a radio which has at least 25 watts of power and offers UHF and VHF coverage. Portable operating: Look for VHF and HF bands for a portable ham radio. The higher the power output of a ham radio, the better the range will be. Some portable models have as few as 5 watts of power, while other more powerful radios have 50+ watts. 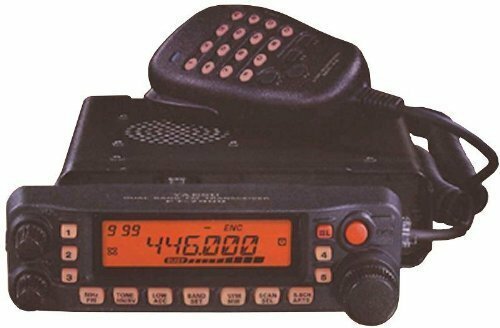 As previously discussed, different ham radios cover different bands. Look for the bands you need for the types of communications you want to participate in. Also check for features like dual band (monitor two frequencies at once) and general coverage (this adds AM, FM and TV frequencies alongside standard ham radio bands). A high-quality alphanumeric LCD display and an illuminated keypad keep your radio visible and easy to use even in the dark. This can be vital during an emergency. You can use these channels to store frequencies. Some ham radios include hundreds of memory channels. This feature will enable you to receive alerts from NOAA and local authorities. That way you will always know if inclement weather is on its way. It is particularly handy in portable ham radios, but is worth considering in a fixed unit as well if you live in a location which is subject to harsh weather. Find the frequencies you need quickly and easily with multiple scan functions. Some types to look for include full scan, memory scan, programmed scan, ban scan, priority scan, skip scan and others. Continuous Tone-Coded Squelch System (CTCSS) and Digital-Coded Squelch (DCS) help to keep conversations on the same frequency separate from one another. If you drop your radio or it is subjected to shock in your vehicle, you don’t want it to stop working. Low quality radios may not hold up great to use, but those with a rugged build can withstand harsh conditions. With the squelch feature, channel noise is suppressed in order to keep communications clear and reduce general annoyance. Many ham radios can be programmed manually. Don’t just buy any programmable model of ham radio though without investigating how it works. Some models only allow you to use the radio itself to do the programming (through the keypad). Others give you the option of programming the radio through a computer. For ease-of-use, pick the latter. Now you are familiar with the most important features to look for when shopping for a ham radio. To compare popular and highly-rated models for sale, scroll back up to the chart at the top of this page. Otherwise, you may read on for detailed reviews. 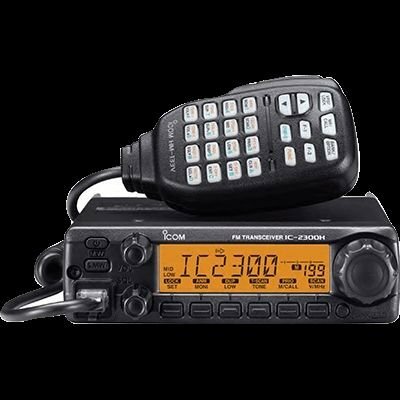 If you are looking for value in a dual-band ham radio which is easy to program and provides you with plenty in the way of power and features, the Yaesu FT-7900R is a good choice. Its affordability and ease-of-use makes it an excellent option for beginning ham radio operators. High power output. This radio provides you with 50 watts of power to use on 144 MHz and 40 watts to use on 430 MHz. Conserve power when you need to. Don’t want to chew through power? There are three lower power settings you can use when you do not need 40-50 watts. Wide coverage. You can receive coverage from 108-520 MHz as well as 700-999.99 MHz. Backlit LCD display. Use your radio effectively even at nighttime or in dark locations. Easy configuration. There are five keys on the front panel which you can use to store the configuration status at any time. That way you can access that same configuration again in the future with just one touch. NOAA weather alerts. Always know when inclement weather is on the way with NOAA alerts. WIRES™. This is an internet linking capability which allows you to use VoIP with your ham radio. Easy to program. You can use software to program this radio, which is a big help especially for novice users. Rugged build. This is a sturdy radio which should stand the test of time. The user manual is not all that great. The documentation is confusing and is lacking with respect to some important information, which can cause issues during the initial setup. Those who are shopping for a sturdy ham radio which can hold up in a range of situations should take a look at the Kenwood TM-281A. Extra care was taken to ensure that this radio can withstand off-road conditions. Along with its rugged build, it features a high power output, which is another feature that makes it perfect for remote locations. Rugged design. This ham radio meets the MIL-STD 810 C, D, E, F & G standards for protection against shock and vibrations. These standards were set by the Department of Defense, making this a military grade ham radio. Compact build. Measuring only 160 (W) x 43 (H) x 126 (D)* mm, this unit is easy to install wherever you need it. High power. This radio runs on 65 watts of power at the high setting. There is an optional low setting which you can use to conserve power. The high power setting is perfect if you are out in a remote location and need extra range. Great features for ease of use. An illuminated keypad and LCD screen make the device easy to read and operate. There is a front mounted speaker, 200 memory channels, one call channel, a memory name function, and multiple scan functions. There is also a CTCSS and DCS encoder/decoder which is built right in. And that is not even the full list of features. This radio is not easy to program while you are on the go. You can get around this with some advance planning. You may just need to be ready to pull over now and again as needed. If you are on a budget and are looking to save on a ham radio which is good for beginners, you might want to think about the ICOM 2300H. Despite being less expensive than some of the other radios on this list, this one has an abundance of nice features including some unexpected bells and whistles. Plenty of power. With 65 watts of power, this radio should provide you with what you need for most communications. Tested for durability. This radio has been tested to MIL-STD-810 G specifications. So you know that it will provide you with strong performance even with some wear and tear. Lots of memory channels. In total, there are 207 alpha-numeric memory channels included with the ICOM 2300H. Excellent audio quality. This radio produces crisp, clear, loud sound. Fast and easy to set up. One of the best things about this radio is that programming is a breeze. Even if you are a newbie, you should be able to get it set up within minutes, so you can start talking right away. 144 Mhz only. While this should be sufficient for a lot of new ham radio operators, some may be looking for other frequencies not covered by this unit.